I told someone awhile back, "Don’t worry, there will be a Silverlight 2 Unleashed. The only real question is whether I'll be the one writing it." Until a few weeks ago, I just couldn’t make up my mind. (I know, it was a bit late to decide!) But finally I did, concluding that life has been too hectic to write another book. 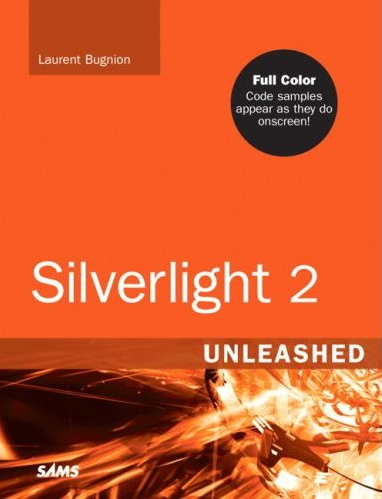 Fortunately, Laurent Bugnion had already been writing a "Teach Yourself" book on Silverlight 2 over the past year, so it was natural to convert it into Silverlight 2 Unleashed. I met with Laurent last year when he was getting started with the book, and I’m sure it’s going to turn out great! So check it out!